/egg doesn't seem to give me an egg, and it says: "Unrecognized argument. 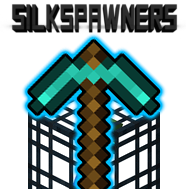 See /silkspawners help"
When a non-op players destroys the spawner with silk touch pick it doesnt drop it! How do I manage permission so everyone has permission to destroy, place and change spawners? Is anyone aware of how to compile the GitHub version that is linked? I've tried from multiple angles and none of the complied Jar files seem to work. I have a 1.13 server and would love to try the dev build on there. I'm using Eclipse to complie the java file, but not sure what I need to include and where :S.
any eta on 1.13 update? Hey! I love the plugin but would like to stop players from mining and using the spawners in dungeons. is there anyway I could do this besides going through a multiple day process by using mcedit to remove all spawners from my world? is there a way i can make a XPOrb or ThrownExpBottle spawner work in 1.7.10? ive tried every plugin and nothing works.. ive enabled the mobs in the config and mobs.yml but nothing happes, the particles of the mob spawner attempting to spawn something shows up but no exp bottle or xp orb spawn. any help? when the plugin dev was on the site 2 days ago but doesnt reply to a single comment posted on his plugin :/ is this thing ever getting updated to 1.13? EVERYONE is waiting on you! your one of the last plugins we are ALL waiting on.... come on man. if you need help updating it ASK people. It's all open source, go ahead and fork it and provide a fully working 1.13 PR, I'm happy to review and merge it. I've tried 4 different Mob Stacking plugins with no luck of any of them working, so I was wondering if there is a specific Mob stacking plugin compatible with this plugin or have I just done something wrong? if that is your issue or chunk issue or askyblock issue? Can someone help a brother out and tell me what in WorldGuard is causing the message "Denied by WorldGuard" when attempting to change a spawner? It was an issue with silk spawners not being supported by WG. I found the following option in SilkSpawners config and set it to false. Why is it not updated to 1.13 yet? Is there anyway i can help to get the update up faster? I know right. I cannot play on my 1.13 server properly. i wanna build my fast xp farms but there is no way to pick up spawners, all the other updated plugins are just crap.